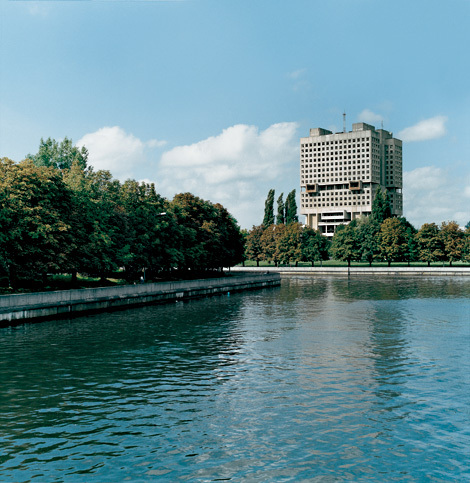 In former Soviet Union, building looks at you! More proletarian Sci-Fi buildings here. And there’s even more Russian fun to be had at English Russia.